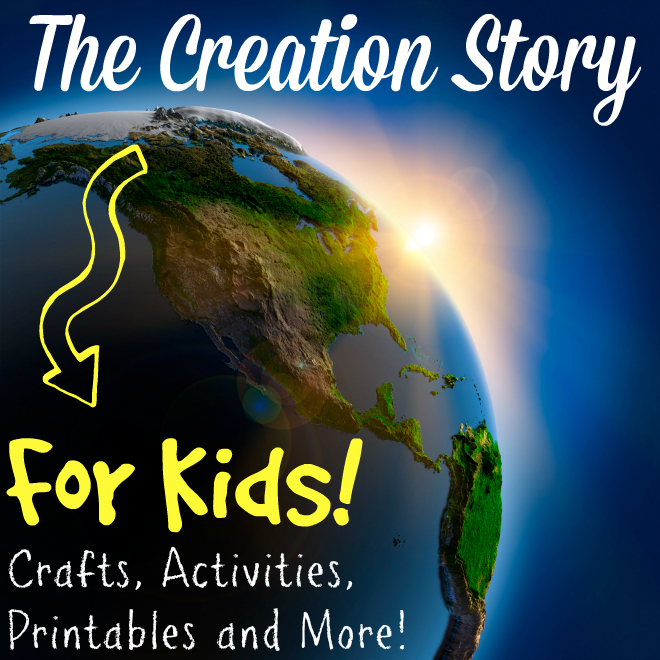 The Creation Story for Kids! 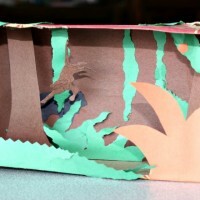 My kids love the creation story. While it seems so simple, it holds the answers to one of life’s most important questions; where did we come from? I don’t just want my kids to KNOW the story, I want them to BELIEVE. I’ve started by teaching them what was made on each day. Then later, I can fill in more of the details. I’ve joined with other bloggers to bring you even more ideas! Join us for activities, crafts, experiments and more to help your children learn the Creation Story! 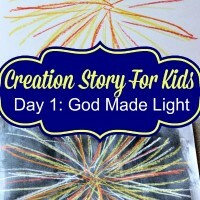 I’ll list each day below and continue to add resources to help you and your children create a Creation Story Book. We made these little books in my preschool 2 years ago. The kids enjoyed every activity! We don’t do too many structured crafts unless they are learning activities. These crafts accomplish more than that! 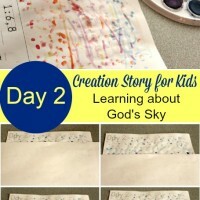 They help children learn about what God made on each day of creation, practice handwriting, and make a book that they will love to read over and over. 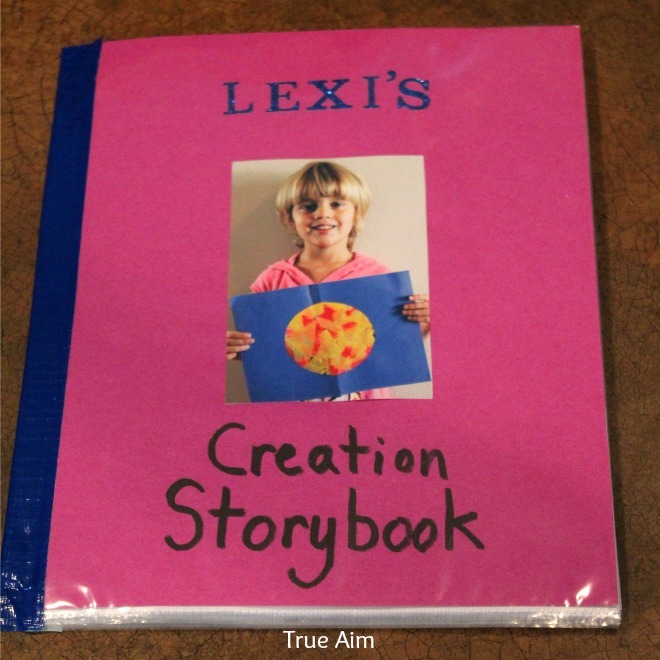 For this storybook, I took the children’s artwork from the days of creation and put it in sheet protectors. Then I tied the sheet protectors together with string and duck-taped the side to make a very sturdy book that is perfect for a memory box. If you like to do your own creation unit and storybook, please see the days of creation below with ideas for activities you can do. If the activity isn’t a craft, I suggest taking a picture and gluing it onto the creation copy-work printables you find below. We used these printables below for some of the art that we did for our storybooks. It also helps to have some Biblical text to guide you on what to say for each day. Although, not all of these are the actual verses, but summaries of the creation story. They are great for handwriting practice too! If your child is too young to trace it on their own, you can just guide their hand by holding their wrist. To download, click the image below and save to your computer. Please share this post when telling others about these printables and not the download itself. Thank you! 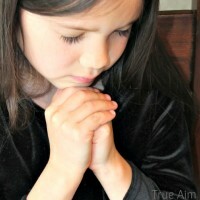 Check out all of these ideas below and have your child choose 1 or 2 for each day of creation! Do one activity each week or each day, it is up to you! Get ready to have lots of fun and glorify God at the same time. I also recommend checking out this FREE music from Songs for Saplings and signing up for Creation Moments, a daily fact about God’s creation sent to your inbox! Follow our pinterest board or subscribe so you don’t miss out! 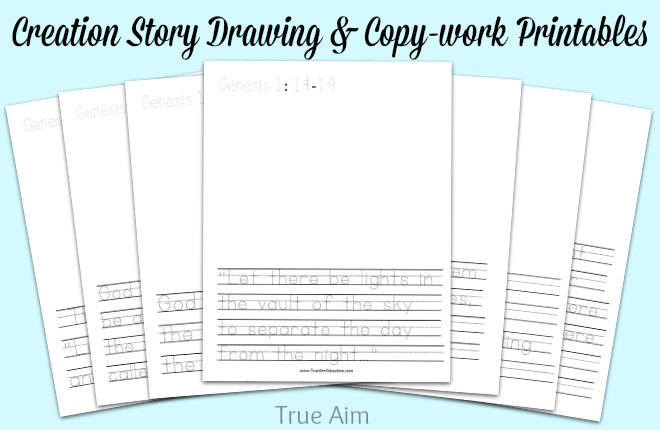 Follow True Aim Education’s board The Creation Story for Kids on Pinterest. Day 2 – God called the vault “sky”. « Why Evolution is DEAD on arrival.